The Summit Eyecare optometrists located in Idaho Falls, Pocatello, Rexburg, St. Anthony and Butte are the premier eye care professionals that provide advanced eye health and vision services using state-of-the art testing equipment. Our optometrists use the advanced testing equipment, like Optomap to provide accurate diagnoses to disease and for precise measurements for corrective lenses. Additionally, we have recently invested in state-of-the-art equipment that treats the conditions that cause chronic dry eye. Summit Eyecare is a full service eye and vision care provider and will care for both eye emergencies and scheduled appointments. Patients looking for optometrists in Idaho Falls, Pocatello, Rexburg,St. Anthony or Butte come to Summit Eyecare because they know they will receive the personal attention and professional eye care that is our foundation. Our eye doctors and our entire team are dedicated to keeping our patients comfortable and well-informed at all times. Drs. 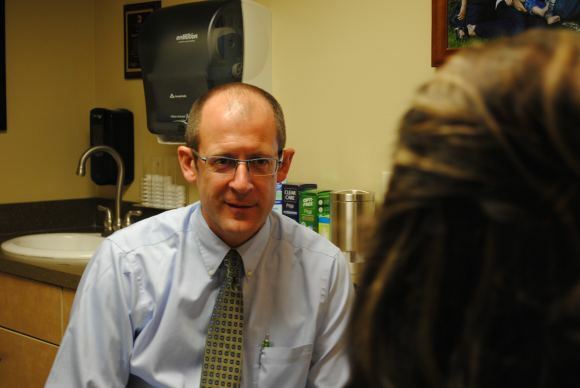 Todd Birch, Jared Birch, Craig Fleming, Jay Borgholthaus, Toni Watt, Neal Guymon and Douglass Hanson and the whole Summit Eyecare team strive to provide the finest in eye care servicing Idaho Falls, Pocatello, Rexburg, St. Anthony and Butte, Montana. At Summit Eyecare, we will explain your eye exam and procedures and answer all of your questions. We invite you to join our patient family by scheduling an eye exam appointment at one of our six locations in Idaho and Montana. Our advanced testing and one-on-one approach to eye care makes Summit Eye Care the eye and vision care providers of choice in Idaho and Montana. Our advanced testing with Optomap, by Optos, is advanced digital retinal scanning imaging equipment that provides an enhanced ability for our eye doctors to evaluate from an ultra wide view of the retina. At our dry eye center, we use several other testing devices which are new and advanced instruments that capture a digital image of an eye that allows our eye doctors to see and measure tear film. This state of the art equipment is cutting edge for the treatment of chronic dry eye. For a complete list of eye care services, visit our services page or call one of our six locations. The Summit Eyecare optometrists rotate between the Idaho Falls, Pocatello, Rexburg, St. Anthony and Butte, Montana offices.